Federal & State Income Tax | Philip Stein & Assoc. Corporations organized under the laws of any of the 50 States (and the District of Columbia) generally are subject to the U.S. corporate income tax on their U.S. source income. There is no separate rate for capital gains of a corporation. The maximum rate of tax on all corporate income is 21 percent (as of 2018). The taxable income of a corporation generally is its gross income less allowable deductions. Gross income generally is income derived from any source, including gross profit from the sale of goods and services to customers, rents, royalties, interest (other than interest from certain indebtedness issued by State and local governments), dividends, gains from the sale of business and investment assets, and other income. A research credit is generally available with respect to incremental increases in qualified research. 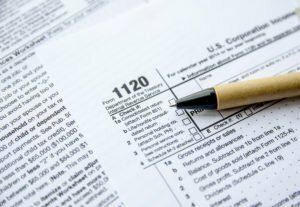 Unless exempt under certain rules, all domestic corporations (including corporations in bankruptcy) must file an income tax return (Form 1120) whether or not they have taxable income. Generally, a foreign corporation must file Form 1120-F if the corporation was engaged in a trade or business in the United States, or had income from any U.S. source, if its tax liability has not been fully satisfied by the withholding of tax by the payor. Besides the federal income tax imposed by the U.S. government, most states impose their own state income tax. A business that has sufficient connections or nexus with a state must file a tax return for that state. Our team is highly experienced in analyzing corporate income tax liabilities. We can assist with calculating the federal and state tax owed, determining your eligibility for research credits and preparing your federal and state tax returns.